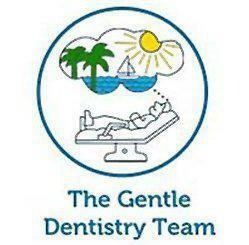 The Gentle Dentistry Team helps men and women in Boca Raton, FL, enjoy whiter, brighter smiles, with effective and convenient whitening services for natural smiles and restorations. Most discoloration affects only the enamel, while other types of discoloration can extend more deeply beneath the tooth surface. Yes, professional tooth whitening products are tested and approved as being safe. 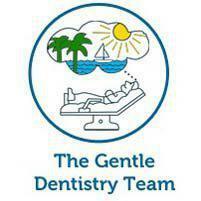 At The Gentle Dentistry Team, we perform a careful evaluation of each patient’s teeth and oral health before beginning whitening treatment for the best possible outcomes. How does professional whitening differ from products I can buy at the drugstore? Professional tooth bleaching uses professional techniques and stronger solutions than products available in the drugstore for results that are more consistent, longer lasting, and safer. If I have restorations, can I still have my teeth whitened? Whitening procedures are designed to be compatible with most types of restorations, but it’s a good idea to discuss your restorations prior to whitening to make sure they’re in good shape and properly adhered. Some restorations may not respond to whitening the same way as your natural teeth, and dark fillings may appear darker in comparison to the whiter tooth surface. Many patients opt to replace dark fillings with tooth-colored fillings so restorations are virtually invisible. That depends on how well you care for your teeth following your whitening procedure, including your oral health habits and what foods and beverages you consume. During your office visit, you can discuss touch-up treatments that can help you maintain your results.